It had to come eventually ‘top educational apps for pre-schoolers’ as the media market targeted mainly young adults the audience then turned to children yet in an educational way. I am not a huge fan of kids and computers but if an app is genuinly educational then I’m for it. I scoured a few sites and found these three for starters. Numberlys is a new App that goes through the stages of pre-school to nearly ready school. The design is great and we love the ideas for parents to get involved and I promise it will cause quite a few laughs. It is so creative and promises to engage your young pre-schooler with the clever graphics and story. As it is not in colour we were intersted in how children percieved it, but amazingly the attention was iincredible. It starts with a story about the world and the alphabet in a most unique way and will be very curious to kids. 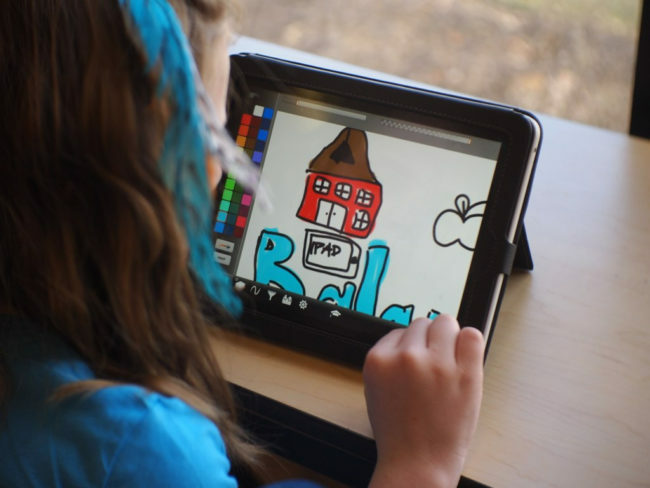 Every kid loves a fairy tale and ‘Princess Fairy Tale Maker’ is pefect for the smaller media devices like tablets and allows children to create their very own fairy tales. It alllows each child to create their very own fairy tale and also gives them the chgance to tell it! Anybody involved with a child as a parent, brother, sister or guardian can enjoy this App as it enables a child to really bring out their own imagination and be commended for it. FinallyBugs and Numbers, as we all know kids love bugs and not so much numbers…they will be totally besotted with this App as it promises lots of fun with great media and also promises a clever way of teaching maths. Kids love that game atmospbere and this App promises that and they can actually up their game as it has 3 settings. These online games and resources are clever and I do believe in a controlled pattern they can become essential to your child’s growth and development while introducing them to online media in a positive way. My classes include music and I fnd my kids really adapt to media yet will receive it happily as a reward for good work.